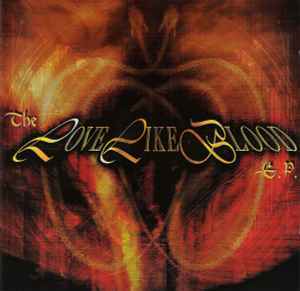 Love Like Blood ‎– The Love Like Blood E.P. Produced at the Abyss Studio, Sweden. <b>2</b> additional vocals engineered at Vooodoo Garden Studio, Stuttgart. <b>4</b> and <b>5</b> recorded at Impuls Tonstudio, Hamburg. Mastered at T.T.M. Mastering GmbH, Hamburg. "Love Like Blood" originally performed by Killing Joke. Splendid ( in quality and quantity ) EP !